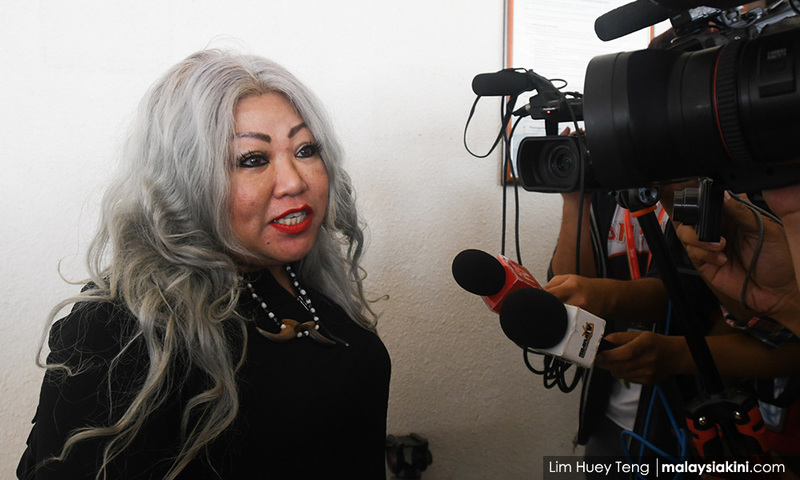 The Attorney-General's Chambers has dropped charges against lawyer Siti Kasim for showing her middle finger to a forum audience in 2016, according to the police. Selangor Criminal Investigation Department chief Fadzil Ahmat said the decision was made by the AGC after it received the investigation paper on the incident on Sunday. "On Feb 10, the investigation paper was recalled by the AGC. "After a review of all the facts and statements, the AGC made a decision to cancel the order to charge (Siti) that was issued on April 18, 2018," he said in a press statement today. This comes just days after Siti was told by the police that she would be charged under Section 509 of the Penal Code for the incident, which occurred at a forum on Act 355 in Shah Alam on Sept 5, 2016. Section 509 pertains to word or gestures intended to insult the modesty of a person. Siti was accused to have made the gesture in response to jeering audience members reacting to her stand against the enforcement of syariah laws. Earlier today, the lawyer announced on her Facebook page that the charges against her were dropped, saying that she was "thankful" as "good sense prevailed." She said that she received a call from a police inspector who informed her that the AGC decided to take "NFA (no further action)." "Thank you to the Subang police headquarters, especially the inspector, for taking the file again to the current AGC to check the validity of this malicious charge," her post read.